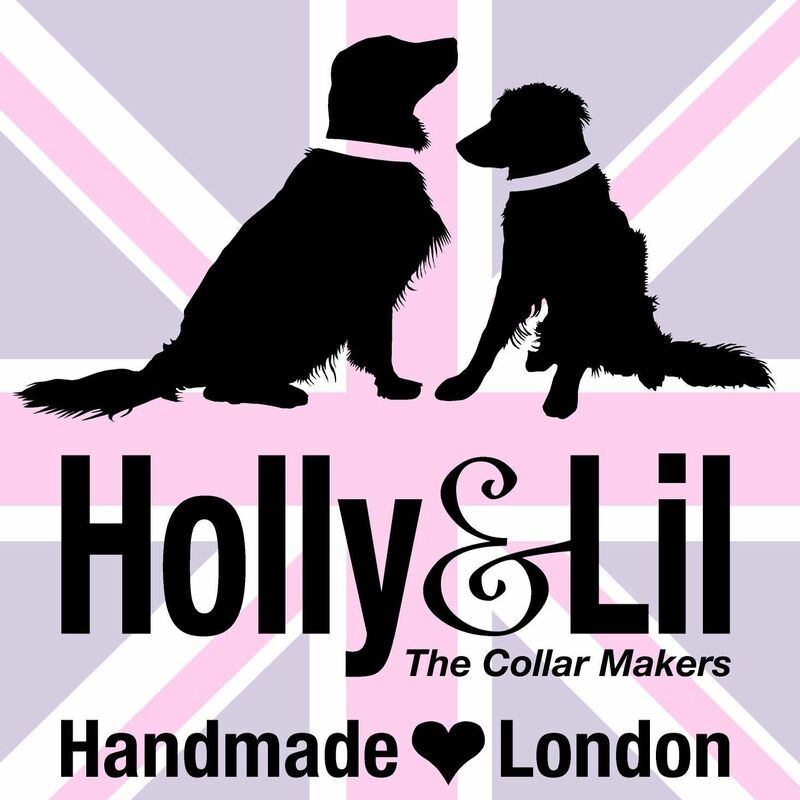 Leather Dog Harnesses that match our dog collar collections - Holly & Lil Collars Handmade in Britain, Leather dog collars, leads & Dog harnesses. 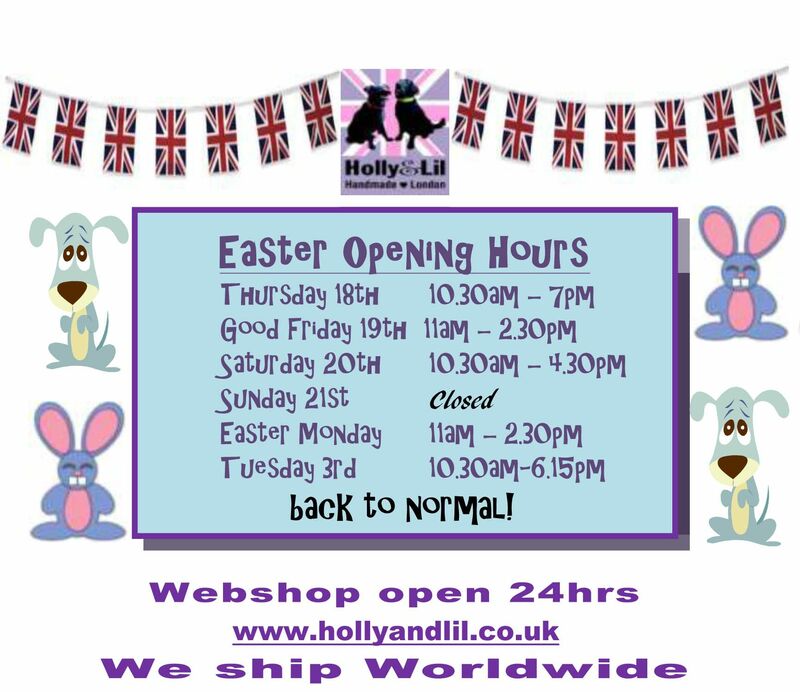 "Rosie is a lively 2 year old blue Staffordshire Bull Terrier so when I was given a pristine pink and orange hand made beautiful leather harness I was concerned that she would trash it instantly! However, she has been wearing it over the the last 3 months constantly. She finds it very comfortable and it certainly doesn’t “cramp her style”. 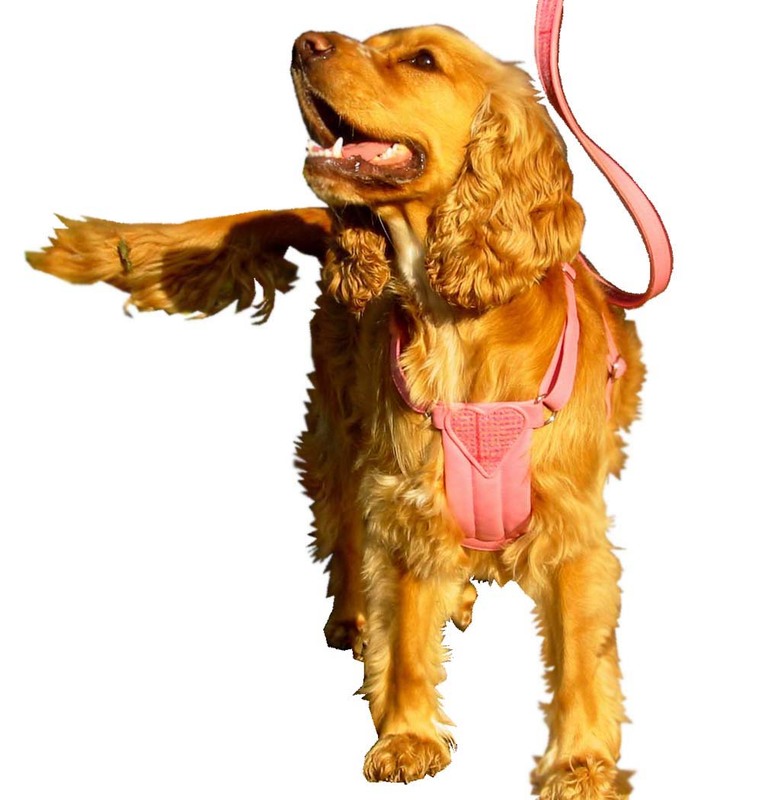 I was impressed that it hasn’t stretched despite the huge amount of strain she can apply when she is on the lead. The pink buckles have been rolled on, scraped along walls and pavements yet have stood up very well. 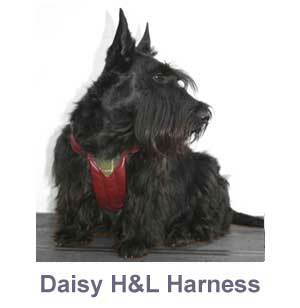 We always get positive comments when out and about in the new harness and I would recommend them highly. 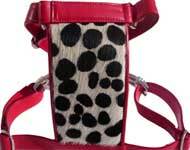 The workmanship and attention to detail is fantastic, yet it is also an effective harness. If they can withstand the “Rosie” test they can withstand anything!" 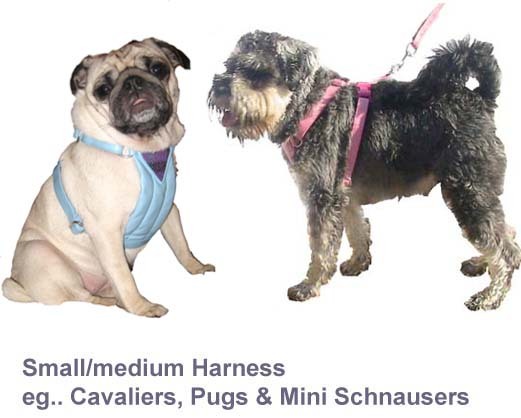 Individually made to order by our craftsman (delivery 6-8 weeks) our harnesses come in X Small (for Chihuahuas), Small, Medium and Large. For Extra-Small sizes, please see the separate product section. The main body is calf leather with a softly padded chest 'plate'. 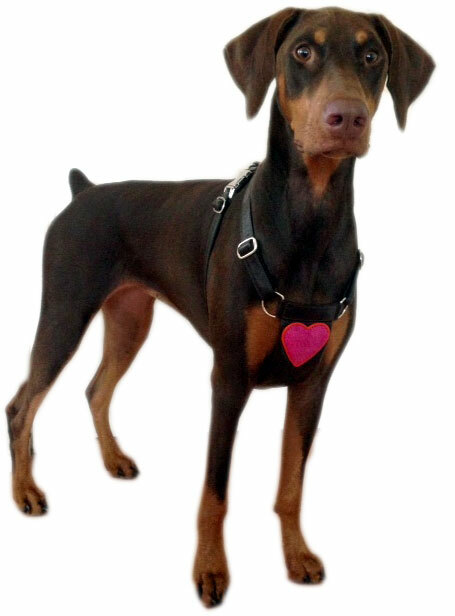 You can select a full piped chest plate - or a piped heart motif on the chest plate and on the dog's back, giving a perfect match to a Holly&Lil piped lead. 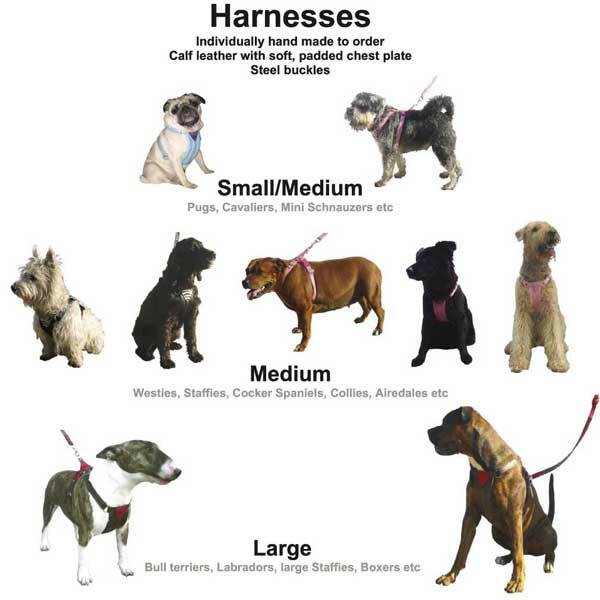 All the dogs in the pictures have piped hearts on their harnesses. 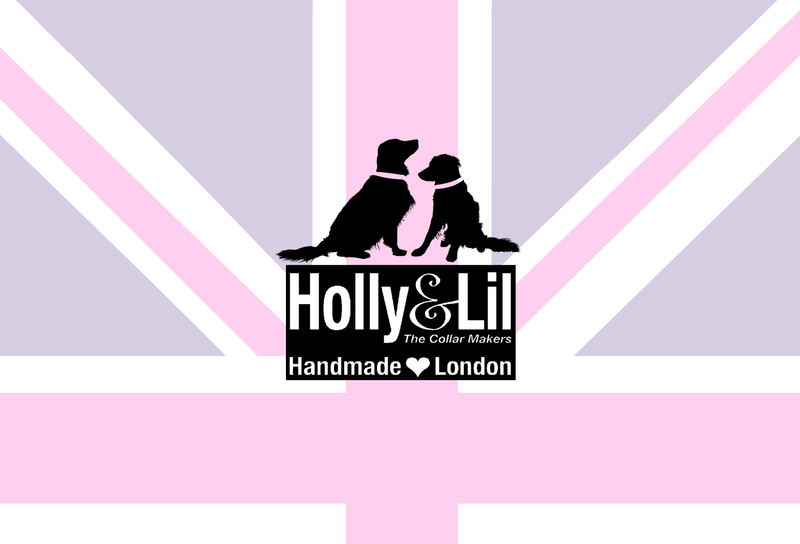 Because our harnesses can be made in any Holly&Lil style/ colourway, they can be anything from girly to butch! For instance Charlie the Cocker looks adorable in pink calf with Pink Thistle tweed hearts, whilst American Bulldog/mastiff cross, Bailey looks super-manly in his brown harness with Red Cowskin heart detailing. We also offer 4 buckle colours - Silver metal is standard, but you can also choose Pink, Red or Orange, (all powder coated metal). 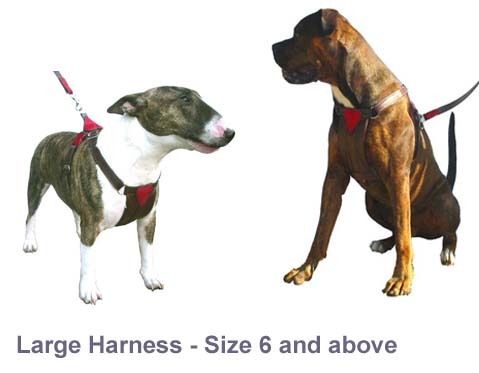 All other fittings on the harness are silver.